Posted July 23rd, 2012 by Yvonne Hawkey & filed under Speaker Cables, Studio Connections. The ultimate expression of the designerâ€™s vast professional experience and knowledge. 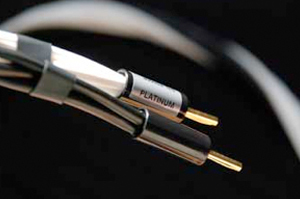 The Platinum is a cable for the very best musical systems. Iâ€™ve got nothing more to add, itâ€™s that good !